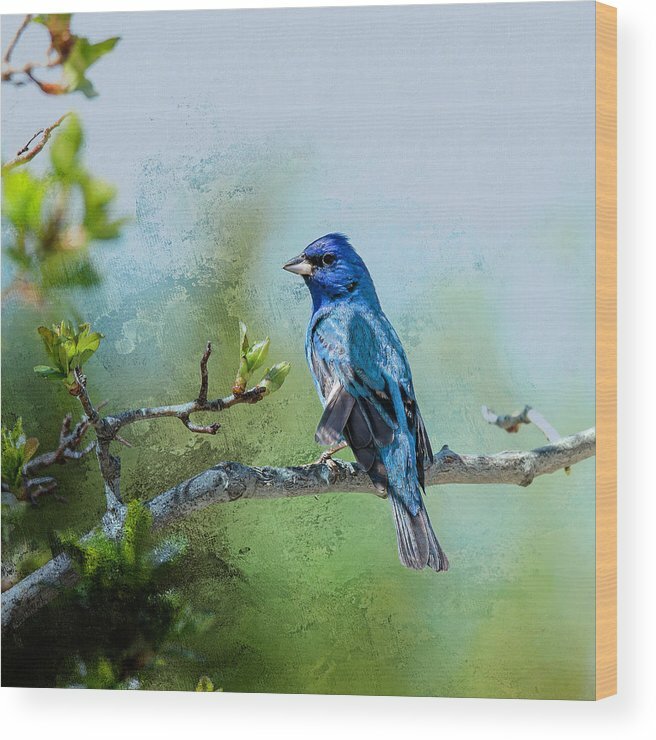 Indigo Bunting - Songbird 2 by John Bartelt - 8.000" x 8.000"
Indigo Bunting - Songbird 2 wood print by John Bartelt. Bring your artwork to life with the texture and added depth of a wood print. Your image gets printed directly onto a sheet of 3/4" thick maple wood. There are D-clips on the back of the print for mounting it to your wall using mounting hooks and nails (included). 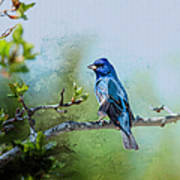 This image presents a male Indigo Bunting (Passerina cyanea) which is a small, sparrow-sized, stocky bird with a short, thick, conical bill in the family Cardinalidae which is made up of passerine birds found in North and South America, and is one of seven birds in the genus Passerina. It was originally described as Tanagra cyanea by Linnaeus in his 18th-century work, Systema Naturae. The current genus name, Passerina, is derived from the Latin term passer for true sparrows and similar small birds, while the species name, cyanea, is from the Latin word meaning dark or sea blue. 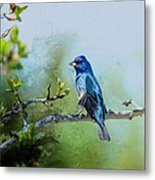 Original fine art photography by John Bartelt - Copyright 2010 - 2018 All Rights Reserved, WATERMARKS WILL NOT APPEAR ON PURCHASED IMAGES. - Texture Added.